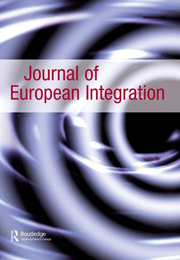 Mai'a K Davis Cross has published an article in the Journal of European Integration, asking: Why was the EU finally able to increase its influence at the 2015 UN summit in Paris? There is arguably no security crisis so great as the one that stems from climate change. For some time, the EU, rather than the US, has led the way in terms of far-ranging policies to reduce carbon emissions. But despite the fact that the EU has been able to bind itself to strong environmental norms internally, it has – up until COP21 – been a relatively weak norm entrepreneur externally when seeking to convince others, especially the US, to adopt stronger environmental policies. Why was the EU finally able to increase its influence in the lead-up and at the 2015 UN summit in Paris? This article argues that while the EU’s climate diplomacy has underperformed in the past, it has been quick to adapt since the 2009 Copenhagen summit through effectively broadening its epistemic community of climate diplomats, and engaging in a process of political learning.